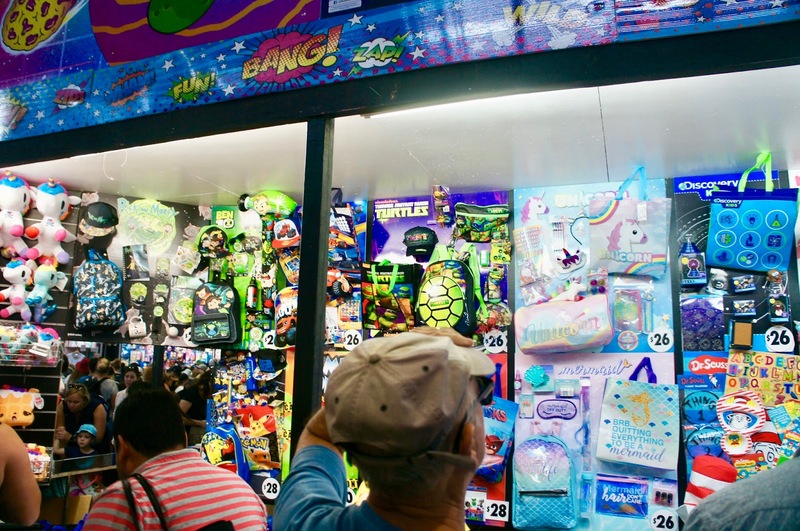 Sydney Shop Girl: Lovin' Life 5/4/2018: The Royal Easter Show. 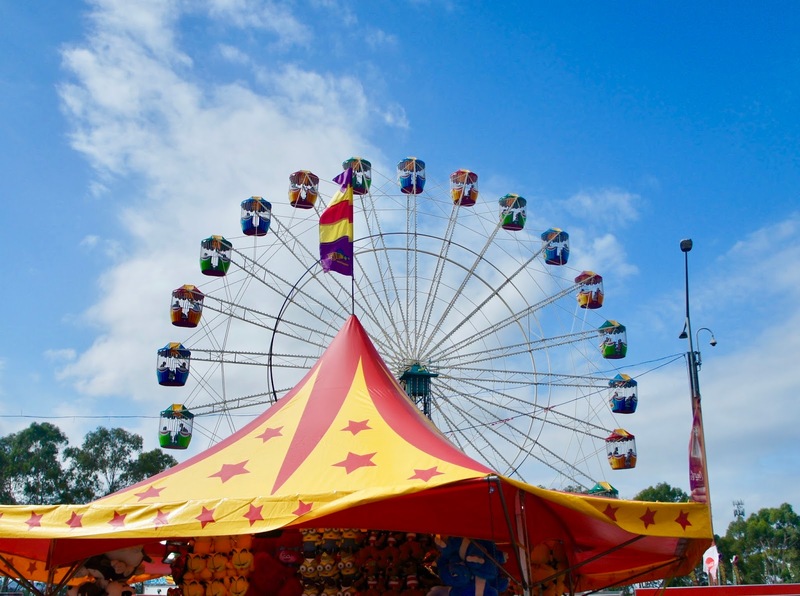 Today's post is in praise of Sydney's Royal Easter Show. I know it's easy to be cynical about the cost, the crowds and the commercialisation of the show but our visits so far have always left us coming away with a bit more of an understanding and appreciation of Australia's agricultural industry and the wonderful people who both are employed and volunteer within the sector. Train rides to and from the show are always a pleasure. The staff on duty are extra cheerful and chatty with their public announcements and there's that sense of happy anticipation amongst all who board and alight each coach. I don't know how such small people can get through as much of a bag as they can but they did and it's just as well we started with the sugary stuff early so that we had enough time to burn it all off. Fairy floss aside, the boys were most fascinated by the animals at the show. They were happy to watch the lambs feed with their mothers for hours minutes. There were some very loud conversations with the roosters. I was lucky enough to be able to watch the egg judging. 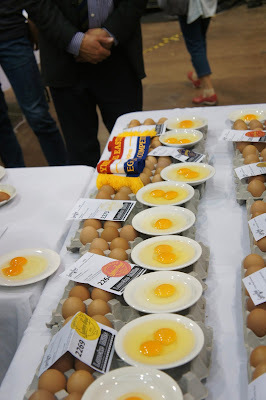 A very precise (and silent) process involving eggs being perfectly cracked to display their yolks to full advantage under the watchful eyes of the judges and a camera. There's something about watching ducks. Those beaks, the arch of their necks. Their area of the pavilion was the most sedate of them all. We saw angora being spun into wool on a traditional loom. The boys were very excited to be able to have their 'Show Passports' stamped at each produce and livestock station. 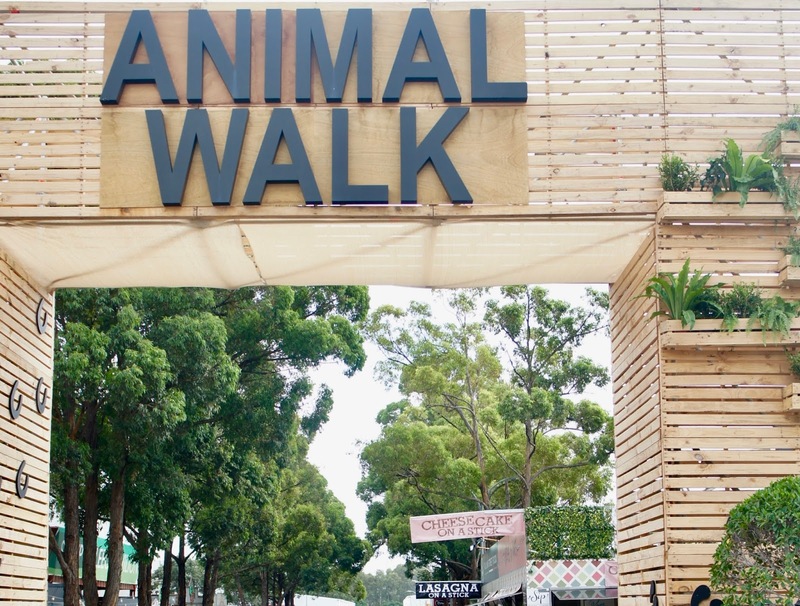 The Woolworths Food Farm pavilion was a hit with the boys. They dug for spuds and carrots. And closely inspected the quirky cows dotted throughout between exhibits. and the cheery yellow one that came bearing breakfast. There was so many interactive stations for the boys to explore. It was all a very hands on and fun way for them to learn about the practicalities of farming and the role fresh produce plays in our daily lives. It was both timely and coincidental that we hit the major showbag pavilion at the four hour mark of our visit. The boys were getting tired and had probably done and seen all they could for the day. This was the first year we'd bought them show bags. There were also whole areas devoted to lifestyle and fashion brands that I didn't have a chance to look at in any detail. Showbags selected, it was time to make our way out of the crowd in search of refreshment. I never did find the Cheese on a Stick stand nor the one selling those potato spirals but I did get a jumbo cup of fresh lemonade and ice. Which I promptly watered down after the first sip..... It definitely hit the spot and gave my enough energy to brave the commute home. 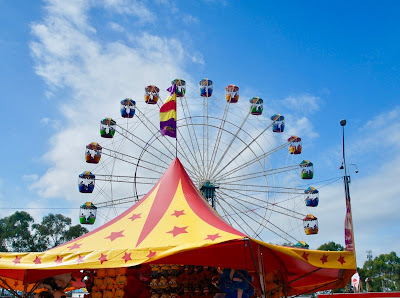 We might brave the rides next year and I have bold ambitions to get myself a jam and cream scone from the CWA as well. Did you go to the show this year? Did you get yourself a scone? Where would I find them... for next year? My youngest wanted to go, but my husband (whose job it is) had to work on the last day so I ended up taking her to the one at Fox. She lasted an hour and we went home. I might be the worst mother in the world - I just can't pay all that money to get in and pay more money....in a crowd. We don t have kids, but we love events likes this! And wake me up for candy flush any time! It looks like a lot of fun for all ages! I haven't been to a show like that in a long time. 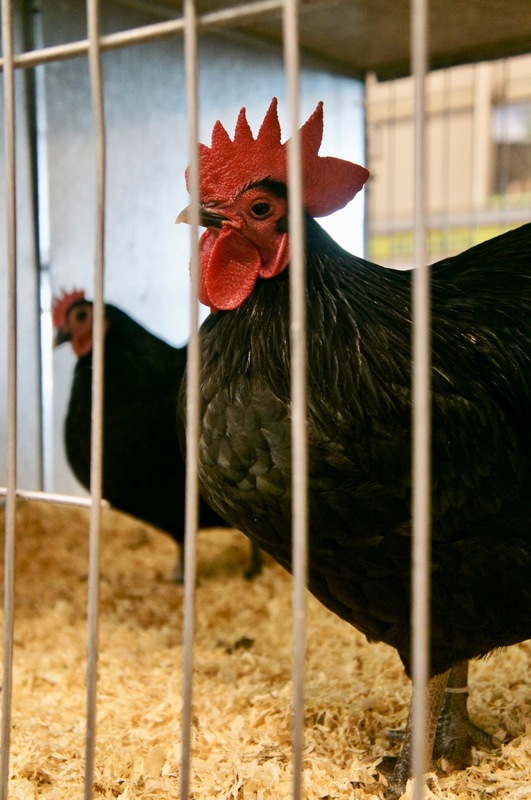 The egg judging is something new for me.